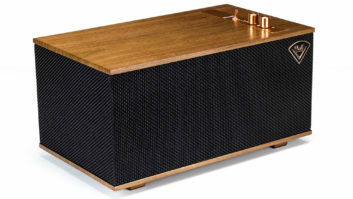 Belgium-based brand StormAudio made its worldwide launch by way of its exhibit at CEDIA. There, the company unveiled its line of high-end immersive audio home theater processors and amplifiers. The effort in the Americas is being organized by channel veteran companies Clarity AV International, Inc. led by principal Mark Cichowski (business development) and Muto Communications, led by principal Paul Muto (public relations). StormAudio will use an independent sales rep network in the U.S. In Canada, South America, and the Pacific region, it will utilize distributors and/or direct dealers, depending on the opportunities in each territory. StormAudio will initially offer three processors (from 16 to 32 channels) and three power amplifiers (eight to 16 channels). The products are compatible with all leading sound formats, including Dolby Atmos, DTS:X and Auro-3D. The products are designed and manufactured in France under the guidance of StormAudio senior vice president Yves Trélohan, head of the Home Entertainment and Luxury Audio Product Division. At CEDIA, the brand’s ISP 3D.32 ELITE Processor received a Residential Systems Magazine CEDIA Best of Show 2016 Award. The three StormAudio processors are models ISP 3D.16 ELITE, ISP 3D.32 ELITE, and ISP 3D.32 Elite | Reference Edition and retail for $13,800, $18,400, and $23,000, respectively. Competitive advantages of the line include its compatibility with all three immersive audio formats, shared and very intuitive user interface, scalable modular platform design approach, and remote-monitoring capabilities. The amplifiers, models PA 8 MASTER, PA 16 ELITE, and PA 8 ELITE retail for $6,900, $11,500, and $9,200, respectively. Each benefits from a large power supply with highly efficient high-current amplifier modules. Employed is an electronically managed vent system to help with temperature control, making the amps ideal for rack mounting. The amps can also be remotely monitored.